Are you looking to gain better control of who has access to your premises? 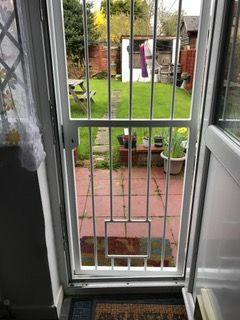 Perhaps you’d like to restrict access, or generally heighten security at the entrance to your property – or specific areas of the building, which may contain valuable or sensitive resources, stock, or dangerous items. We provide access control systems, such as biometric locks, that offer modern, flexible, and cost-effective access control solutions. The access control systems we offer provide a secure means of controlling the access privileges of on-site people. They empower authorised people with the ability to gain easy access, while denying entry to unwanted or unauthorised visitors. These systems serve to protect both the company and its personnel, verify who is using the facility, record entry and arrival times, and reduce the need for personnel to manage site security. Acton Locksmith Ltd supplies, installs, and maintains a range of access control systems. Coded entry systems provide a versatile option for controlling access to buildings and facilities. These wall-mounted keypads allow authorised people to gain swift access with the entry of a code. Access privileges can be extended to visitors as required. In the event of the code being obtained by unwanted visitors, it is easy to recalibrate the systems to reinstate security measures with a new code. As an added precaution, these systems may be set up with a rolling code facility, whereby the code changes automatically on a regular basis. Proximity systems have replaced what are often referred to as “swipe card systems” or “magnetic strip card systems”. Proximity systems operate on the basis that to gain entry you must be in possession of a security card which is both recognised by the wall-mounted reader when placed in close proximity, and calibrated to give access privileges to the secure area. Acton Locksmith Ltd supplies and installs Paxton™ and Inner Range™ systems because they are widely regarded as the best in the industry. We are a Gold-Accredited Installer of Paxton systems and an accredited installer of Inner Range systems. Biometric systems are the next generation of secure access control, with technology that recognises finger prints. These systems take security to the next level of identity verification and access control. Biometric finger print readers scan and identify finger prints, allowing authorised personnel to gain access. These systems are an alternative to card reader systems and can also be integrated in addition to proximity and coded entry systems to heighten security. In the interest of keeping your access control system at its best, it is advisable to have regular servicing and maintenance checks on the equipment. 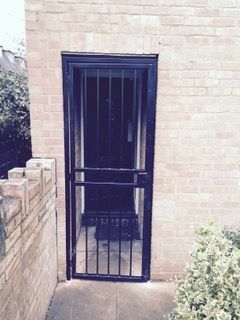 Acton locksmith provide an on-going maintenance service to handle this for you. Acton Locksmith Ltd supplies and installs both audio and video entry systems for commercial and residential premises. Audio and video door entry systems, or ‘intercoms’, as they are often called, are a cost-effective means of providing security and restricting access to a premises. Secure video entry systems can be installed as single-user units for individual premises or for use at shared entrances with multi-stations where they can also be linked centrally to a switchboard or concierge. 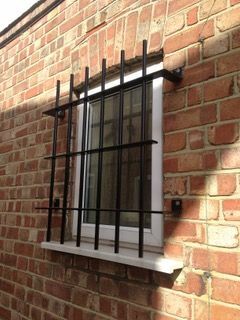 These systems are often used as a security measure on apartment blocks, shared office facilities, or at a gated entry to a site, thus providing a level of security which allows visitors to be granted access and deterring acts of vandalism and antisocial behaviour. Our audio and video entry systems are often integrated with access control, coded entry systems, and CCTV to provide a comprehensive entrance security solution. Audio entry systems are a simple and effective system that allows you to communicate verbally with visitors at the entrance of your premises and grant them access by the simple press of a button. These are typically an external wall mounted buzzer connected to an entry phone system. Video entry systems are the next level up from audio systems, with the addition of a video camera. These systems are particularly useful when you are located some distance from the entrance. This makes not only communicating, but verifying visually who your visitors are, more important before they are allowed on-site. Video entry systems are a cost-effective security measure commonly used at a gated entryway because they can be used to control both vehicular and pedestrian access. Video entry systems can have cameras and displays at either end, as required, and are often integrated with access control and coded entry systems at both commercial and residential locations. In the interest of keeping your audio and video systems at their best, it is advisable to have regular servicing and maintenance checks on the equipment. Acton Locksmith Ltd provides an on-going maintenance service to handle this for you. We also provide an extensive range of additional services. Contact us today, in Acton, London, to discover our access control systems, including biometric locks.